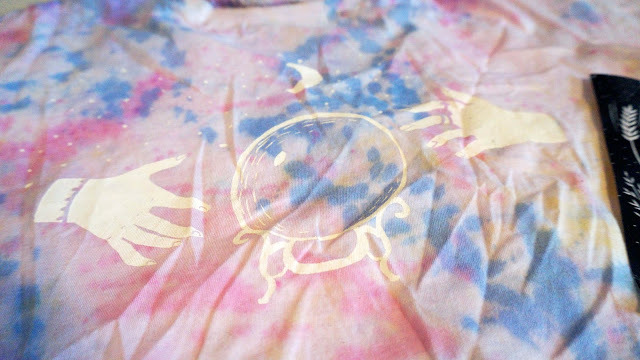 Today I wanted to share with you this cutsie shirt I received from the Etsy shop Susi Apparel! 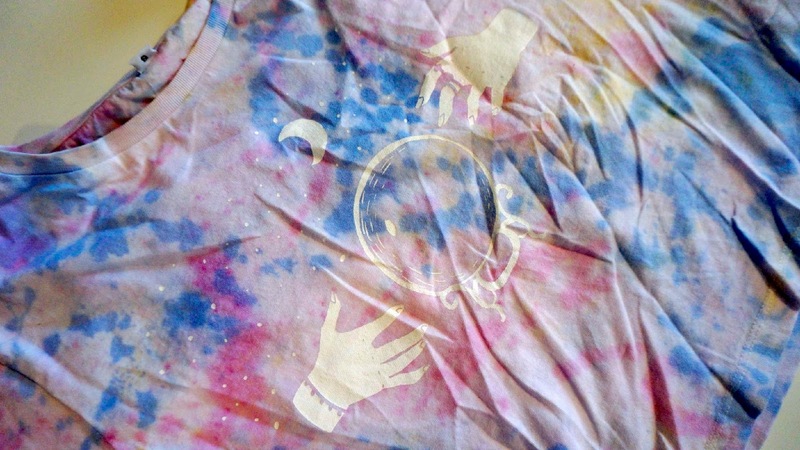 It's the Crystal Ball Crop Top and it is as amazing as it seems. 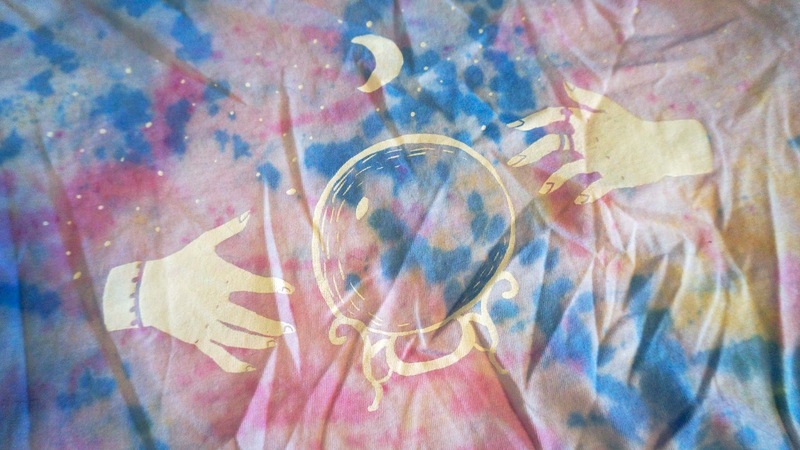 It's a tie dye crop top that features a crystal ball, tiny stars, a moon, and two witchy hands. The shirt itself is very square which looks super cute paired with high waisted pants or shorts. It's a nice fit if you're not comfortable with a tight fitting top! 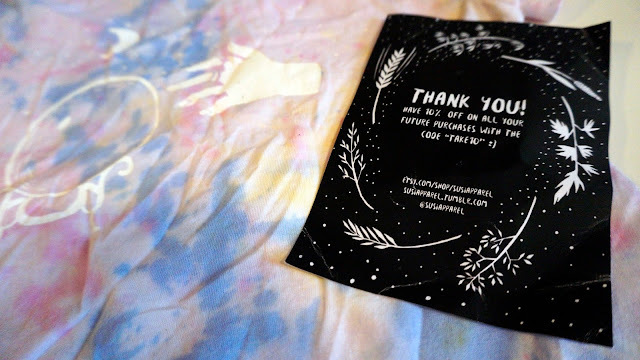 Even her cards that come in the package are cute and adorably designed by her and have a coupon code! She has a bunch of other cute designs on her Etsy shop and you should really check them out. I couldn't decide on what I wanted to show so I let her decide! I definitely want more designs from her so you'll be seeing her shop on here again!